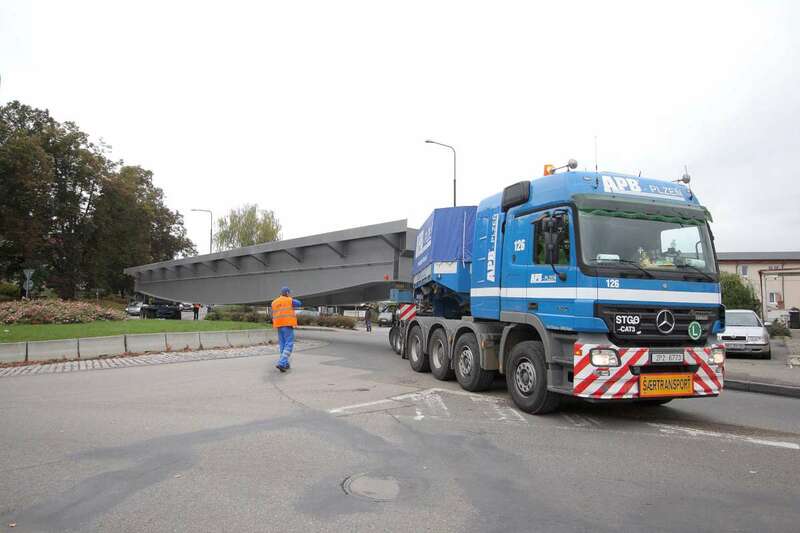 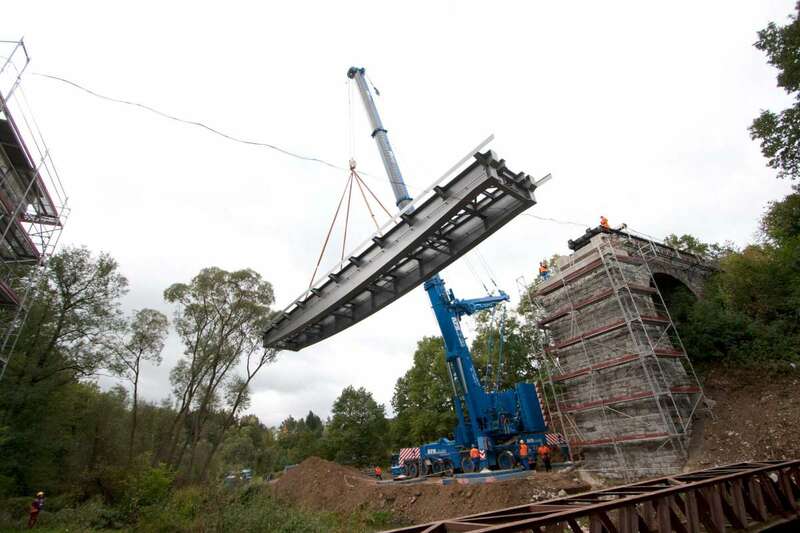 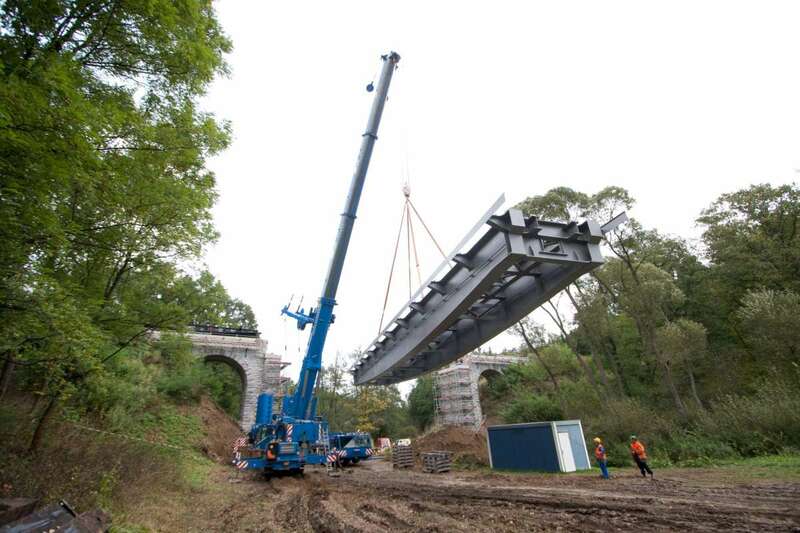 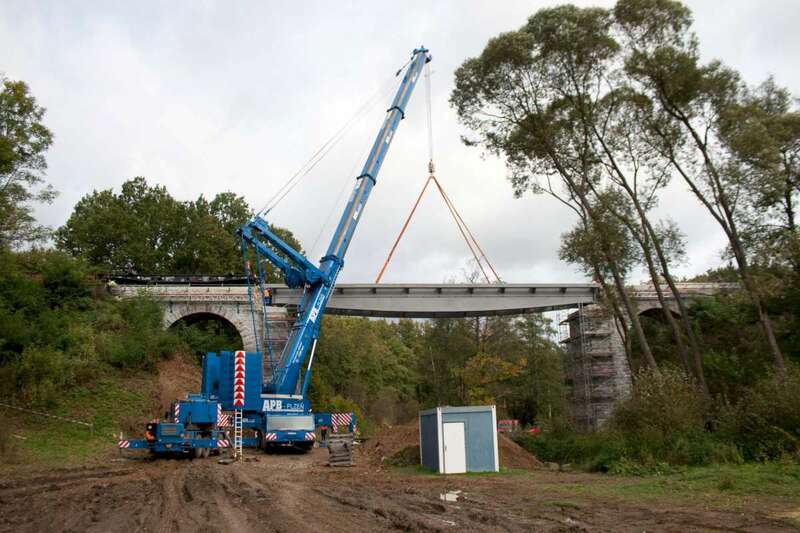 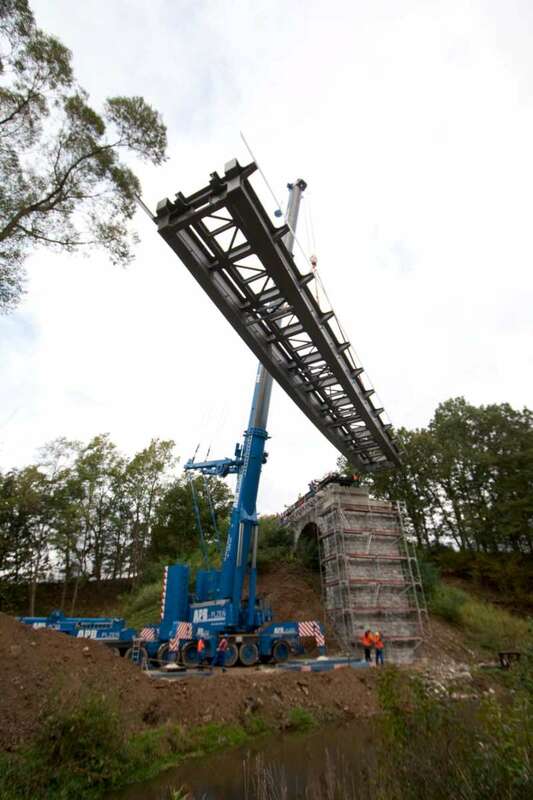 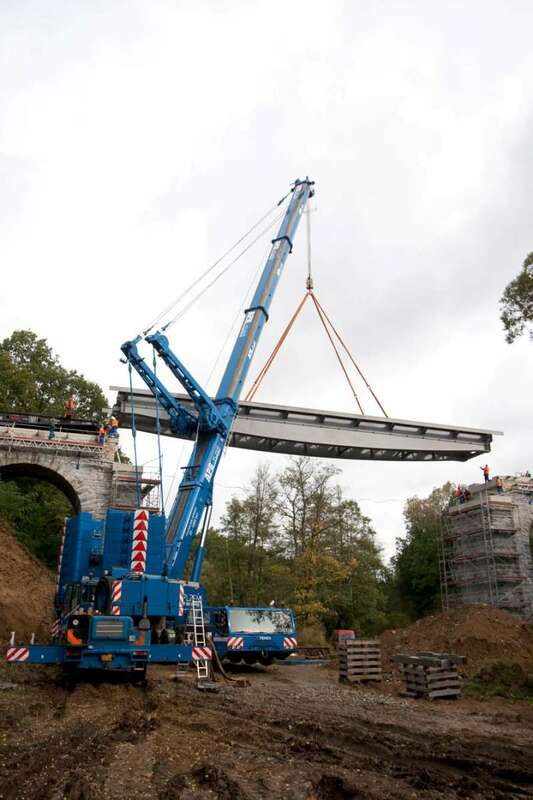 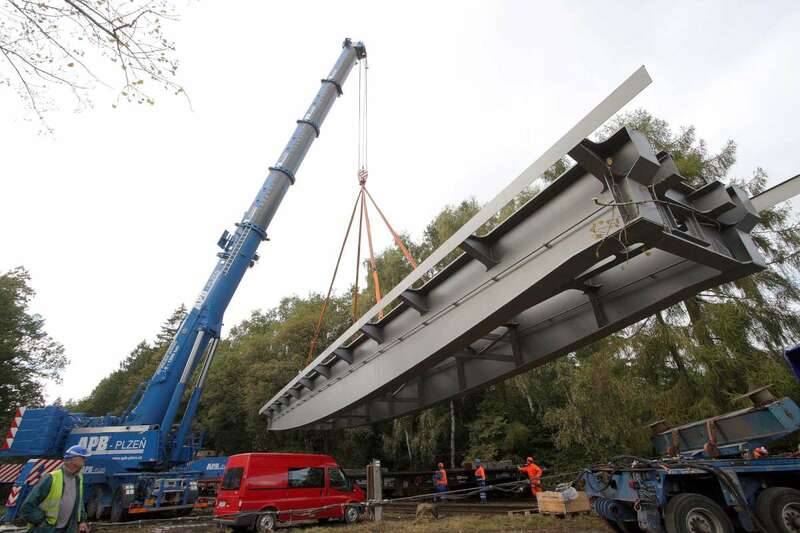 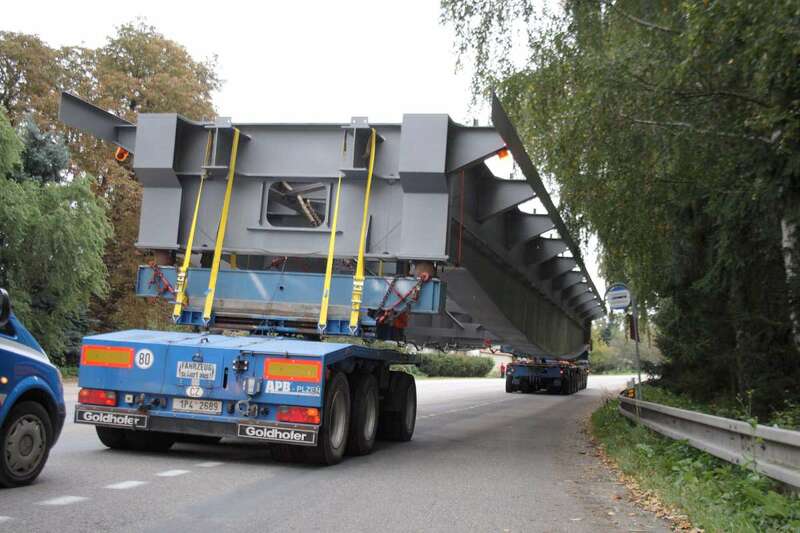 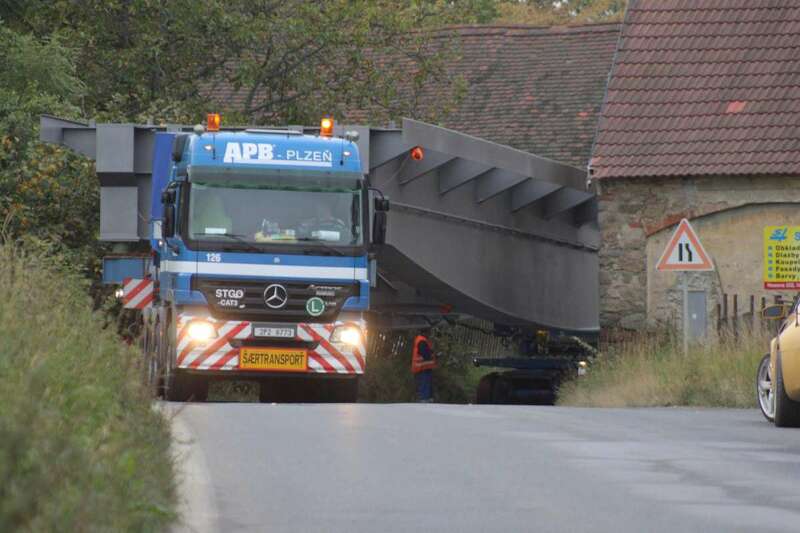 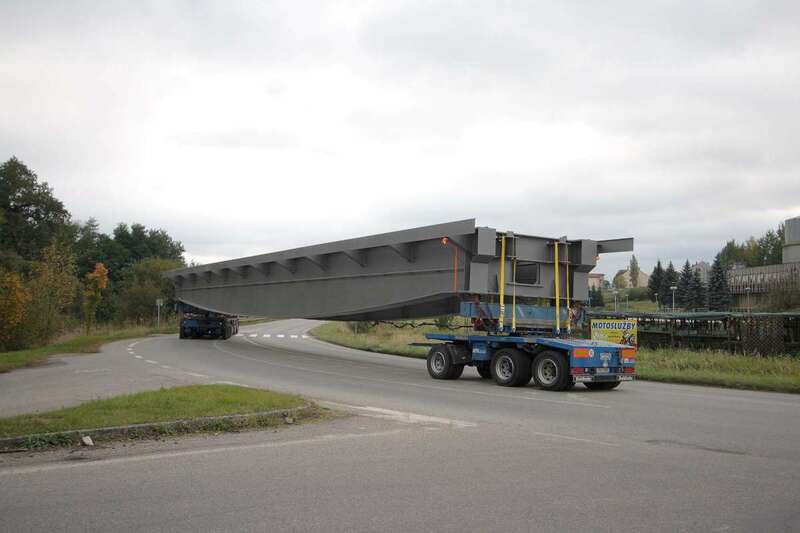 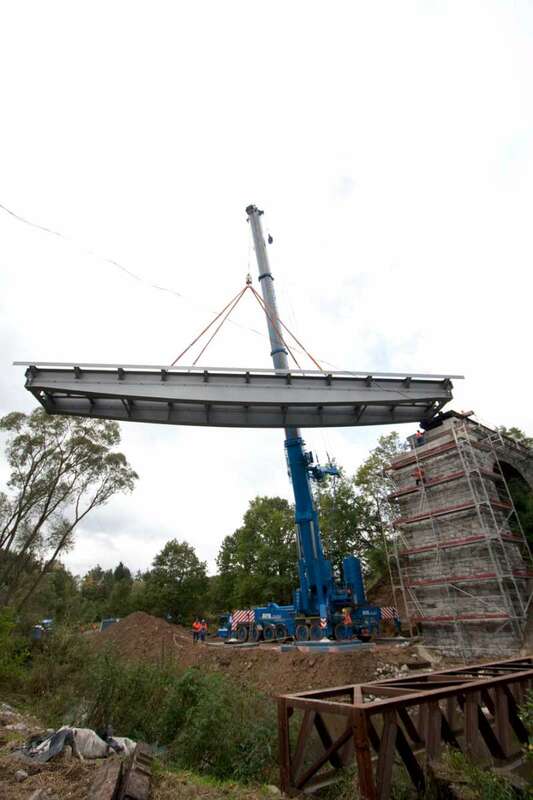 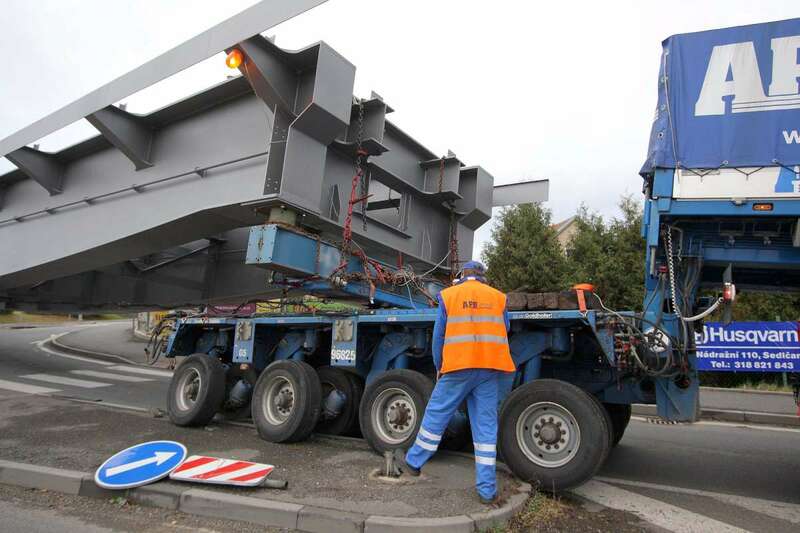 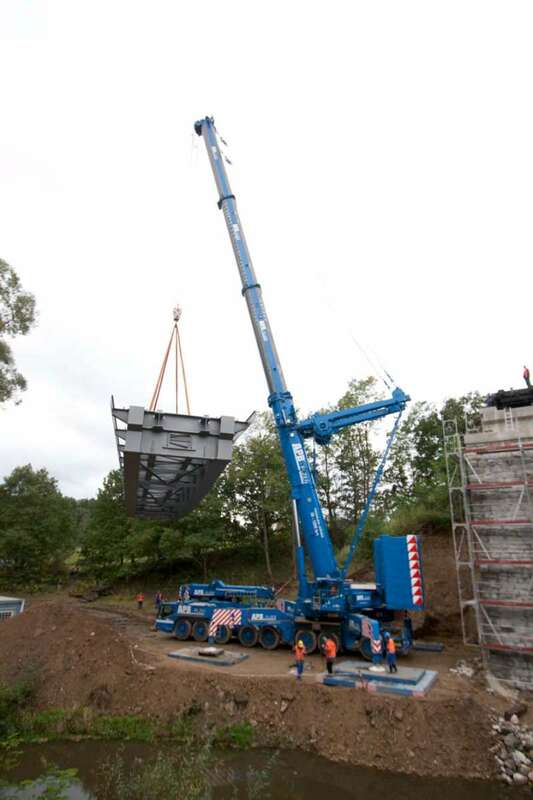 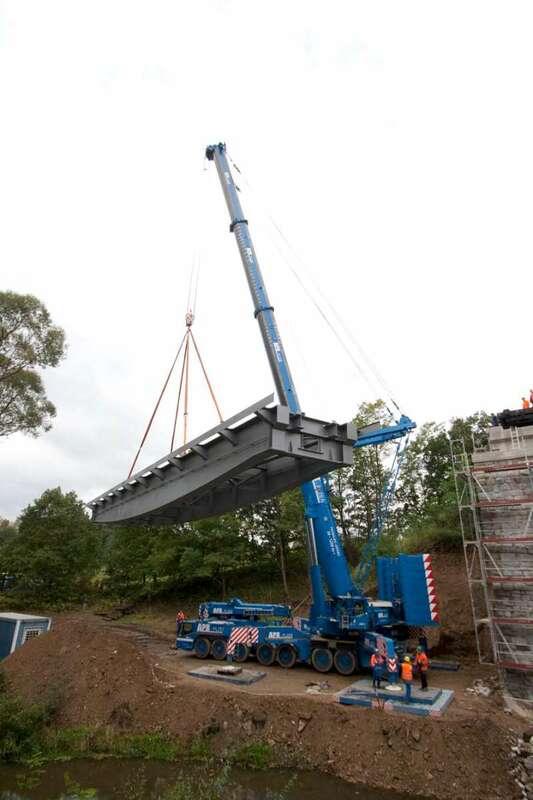 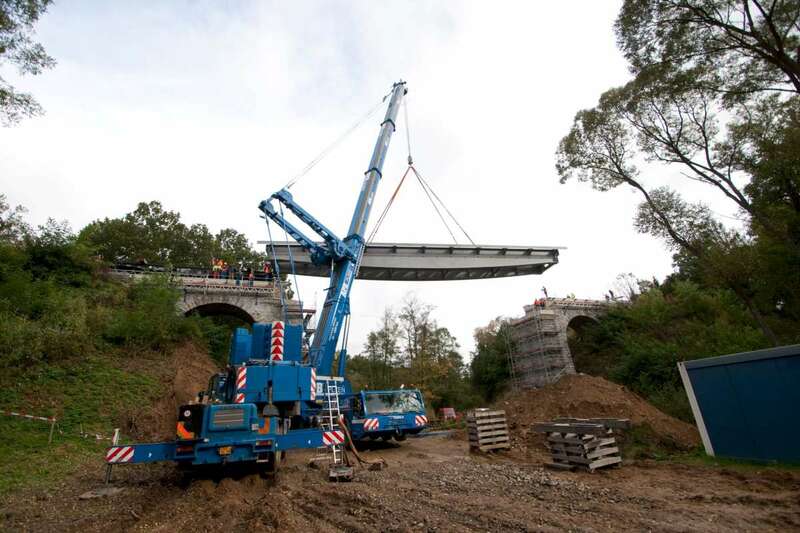 Using a special semi-trailer and the railways, we transported a bridge structure. 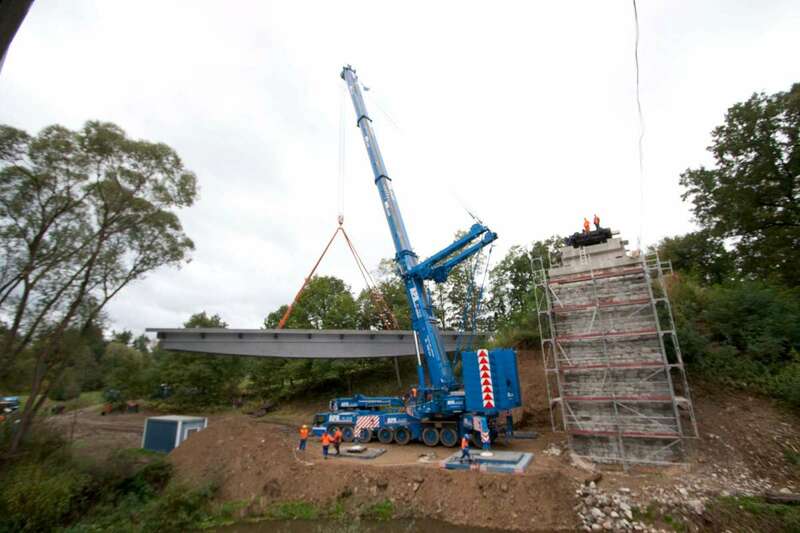 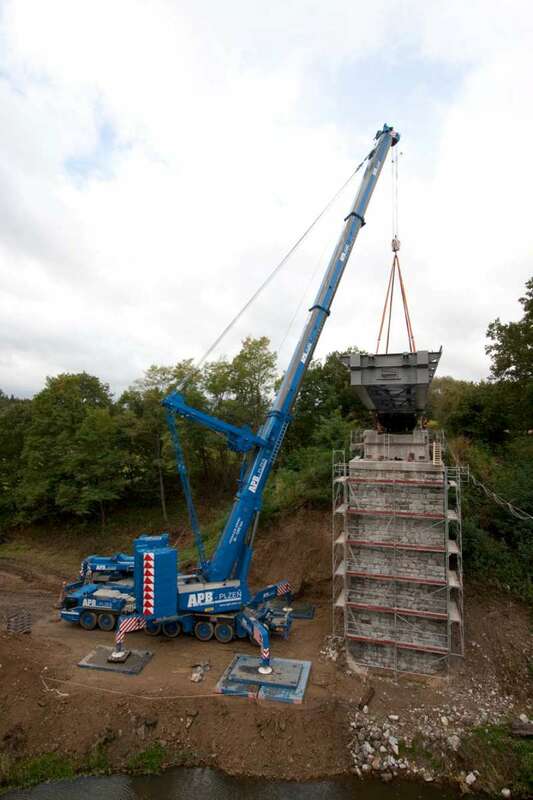 Using a crane, the structure was laid on the on the bridge supports. 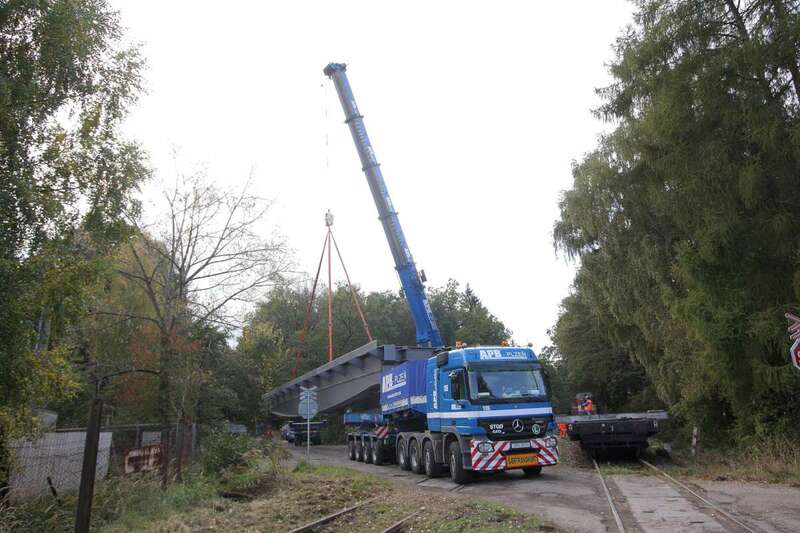 Notes: During transport, the cargo was placed on a train, from which it was laid on the bridge supports by crane. 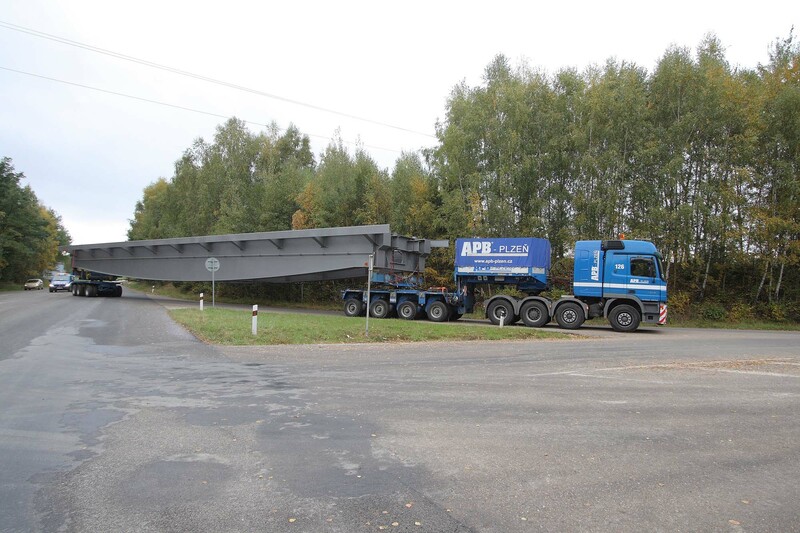 We carry many types of heavy and oversized cargo. 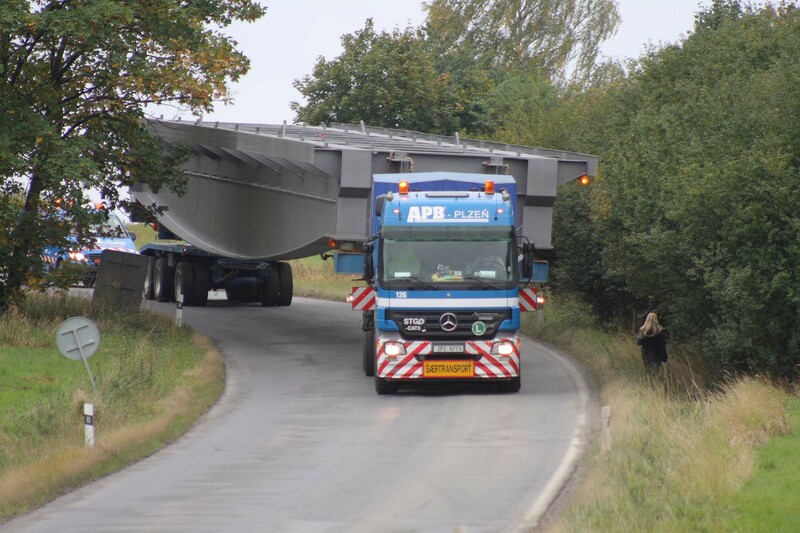 If you are interested in our carriage services, contact us.